The Trump era is beginning. Welcome to the war. It’s a war for the continuation of your influence, your ability to unify a divided country, for the value of facts; and, I don’t think it’s overstating things to say it’s a war over whether your role as the fourth estate will survive the next four years. The constant lies, strong-arming, and attacks on the media are so obvious and relentless, there’s no need to convince you that the battle has come. Winter is here. Here are four ways to fight the war. You’ve got to be better and more focused than ever before. One of the clear tactics of the new boss is to flood the airwaves with so much content that nobody can focus on any one thing, and so many falsehoods that we don’t know what to believe. It’s a classic and effective tactic, now being deployed by a skilled adversary. Don’t play the game by his rules. Let those of us on social media worry about responding to every tweet and distraction. You need to focus on the big stories and maintain that focus. In short, you’re editors, so edit. Divide and conquer. That was Trump’s campaign strategy, and its the strategy he uses against the press. Do not allow yourselves to be divided. 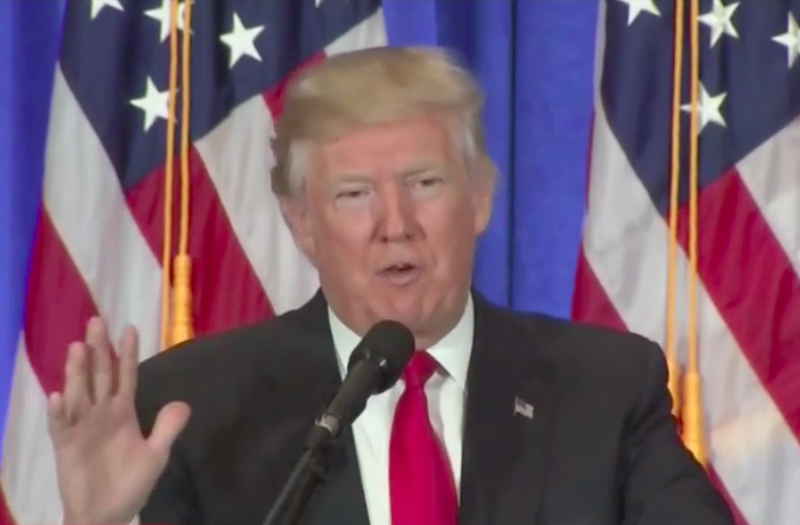 In his only transition press conference, Trump (standing in front of his idiotic prop folders) attacked your colleague from CNN and accused him of spreading fake news — and then refused to allow him to ask a question. From there, the press conference went on as if nothing happened. Well, something did happen. And next time it does, you need to be united and stand up to unjustified attacks on your industry. No one should have asked a single question until Jim Acosta was allowed to ask his. What you accept becomes acceptable. And if Sean Spicer is going to get up and yell lies about the size of the inaugural crowd, do not just take it. Force the issue. Yell back. Will that create a loss of decorum? Is that going against tradition. Yes, and yes. But this administration has reset the rules. Do not bend to their will. They’re not just bending the truth, they’re bending the country. Competition is good. Woodward and Bernstein got the goods on Watergate in part because they were racing to beat other media outlets. But this era is different. Truth itself is very much at risk. Different times call for different models. I call on all the top American media outlets to form a joint committee of journalists and editors that will meet and share strategies about how to better cover this adminstration — and to stand up to what will be an unprecedented attack on everything you work for and believe in. Dave Pell Visits 75 News Sites a Day So You Don’t Have To.